a'a—a lava rock with a ropey, frothy surface texture formed as a cooling crust on a fluid lava flow. ablation—the removal of snow and ice by melting or evaporation, typically from a glacier or ice field. abrasion—the process of wearing down or rubbing away by means of friction, typically by wind-blown dust or sand. abyssal plain—an underwater plain on the deep ocean floor, usually found at depths between 3000 and 6000 meters. accretion—a process by which material is added to a tectonic plate or a landmass. This material may be sediment, volcanic arcs, seamounts or other igneous features, or blocks or pieces of continental crust split from other continental plates. active continental margin—a continental margin that is characterized by mountain-building activity including earthquakes, volcanic activity, and tectonic motion resulting from movement of tectonic plates. alluvial fan— An outspread, gently sloping mass of sediment deposited by a stream where it issues out of the mouth of a narrow canyon draining from and upland area. Viewed from above, an alluvial fan typically has the shape of an open fan with the apex being at the mouth of the canyon. Alluvial fans are common in arid to semi-arid regions, but can be covered with forests in the California Coast Ranges. Alluvial fans may merge together to form an apron-like slope along the base of a mountain front. alluvium— A general term for unconsolidated sediments deposited by flowing water on stream channel beds, flood plains, and alluvial fans. The term applies to stream deposits of recent times and it does not include subaqueous deposits, such as in lakes or undersea. amphibole—Any of a class of rock-forming silicate or aluminosilicate minerals typically occurring as fibrous or columnar crystals consisting of hydrated double silicate minerals, such as hornblende, containing various combinations of sodium, calcium, magnesium, iron, and aluminum. amphibolite—a dark rock with fibrous crystals of amphibole and related minerals (tremolite, actinolite, and hornblende), both intrusive igneous or metamorphic in origin. anaglyphic image—A type of photographic image or drawing that can create a three-dimensional view when viewed through colored filter glasses—red-and-cyan colored lenses are most common (standard). Anaglyphic images are created using two standard photographs taken in parallel position a short distance apart, then colors are subtracted from the two images (blue and green from the left image, and red from the right image) before the two images are merged into a reconstructed image (called an anaglyph). The red colored lens filters out green and blue from the anaglyphic image whereas the cyan colored lens filters out the red. With red-and-cyan 3D viewing glasses on, the brain reconstructs a 3D view from the original stereo pair of images used to make the anaglyphic image. Standard anaglyphic 3D glasses are worn with the red lens over the left eye. andesite—A fine-grained, brown or grayish volcanic rock that is intermediate in composition between rhyolite and basalt, dominantly composed of plagioclase feldspar. anthracite—a hard, metamorphic variety of coal, having a low volitile content. Typically burns very hot and clean relative to other varieties of coal. anticline—a fold in layers of rock where the concave side faces down, with strata sloping downward on both sides from a common crest. aphanitic texture—dense, homogeneous rock with constituents so fine grained that they cannot be seen by the naked eye. aquiclude—an impermeable body of rock or stratum of sediment, or an impermeable fault zone, that acts as a barrier to the flow of groundwater. aquifer—a porous and permeable rock or sediment layer, such as a sand or sandstone, containing groundwater that can be used to supply wells. aquitard—a zone or layer of low permeability adjacent to an aquifer; the permeability is so low it cannot transmit any useful amount of water. Aquitards act as confining layers to confined aquifers. Confined aquifers can be used as water storage. arete—a narrow, jagged mountain ridge that divides two cirques or glaciated valleys. argillite—a metamorphic rock, intermediate between shale and slate, that does not possess true slaty cleavage. 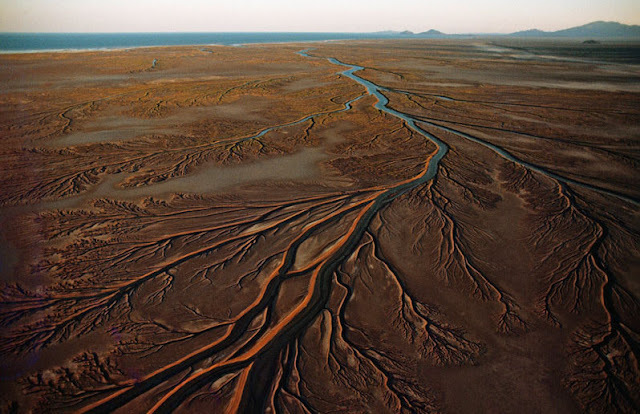 arroyo—a watercourse (water-carved gully, channel) in an arid region. Arroyos are typically dry (ephemeral) but are prone to flash floods after rare seasonal thunderstorms. artesian well—a well drilled through impermeable strata to reach water in a confined aquifer capable of rising to the surface by internal hydrostatic pressure. ash fall—A cloud of volcanic tephra, mostly dust (silt-sized) grains, that blankets a region from a volcanic eruption. asteroid—any of the thousands of small irregularly shaped bodies of stone, metal, and ice that revolve about the sun. In our solar system, asteroids typically range in size from about one-mile (1.6 km) to about 480 miles (775 km) in diameter and mostly lie in in orbits between those of Mars and Jupiter, however many large objects have been observed passing through Earth's orbital path. Asteroid collisions with earth were frequent in Earth's early history, but are now extremely rare events. The extinction of the dinosaurs and many other species is mostly blamed on the environmental catastrophe created by an asteroid impact about 65 million years ago, defining the end of the Cretaceous Period (and Mesozoic Era). asthenosphere—a semifluid layer of the earth, between about 40 to 80 miles (100-200 km) below the outer rigid lithosphere (oceanic and continental crust) forming part of the mantle and thought to be able to flow vertically and horizontally, enabling sections of lithosphere to subside, rise, and undergo lateral movement associated with plate tectonics. atmosphere—The gaseous mass or envelope surrounding a celestial body (including the one surrounding the Earth), and retained by the celestial body's gravitational field. The Earth's atmosphere is subdivided into levels: the troposphere is the lowest portion (up to about 6-8 miles) where all weather takes place and contains about 80% of the air's mass and 99% of water vapor. The overlying stratosphere contains an abundance of ozone which absorbs ultraviolet radiation, protecting life on land and in the shallow ocean extends up to about 31 miles. The upper atmosphere extends upward to the transition into space above about 60 miles where the charged atomic particles of the solar wind begins to interact with atmospheric gases. atoll—A ring-shaped reef, island, or chain of islands formed of coral, typical on a foundation of an extinct volcano in the ocean. atomic structure—the arrangement of the parts of an atom, which consists of a massive, positively charged nucleus (composed of protons and neutrons) surrounded by a cloud of electrons arranged in structured orbital arrangements. aureole—a zone of altered rock around an igneous intrusion. Heat and escaping fluids from the intrusion metamorphose the surrounding rock and may be a location where unusual and/or valuable mineral deposits accumulate. avalanche—a mass of snow, ice, rocks, and debris falling rapidly down a mountainside. badlands—uncultivatible land with typically rugged relief, a heavily eroded appearance, and bares little or no vegetation. bajada—an alluvial plain along the base of a mountain front formed from the accumulation and coellescing of of alluvial fans. barrier island—a long and typically narrow island, running parallel to the mainland, composed of sandy sediments, built up by the action of waves and currents. Barrier islands serve to protect the mainland coast from erosion by surf and tidal surges. basalt— A dark-colored igneous rock, commonly extrusive (from volcanic eruptions) and composed primarily of the minerals of calcic plagioclase and pyroxene, and sometimes olivine. Basalt is the fine-grained equivalent of gabbro. base level—the lowest level to which a land surface can be reduced by the action of running water, typically equivalent to the lowest point a river or stream can reach entering the ocean or other large body of water. Base level of a stream entering the ocean will rise and fall with changes in sea level. batholith—a great mass of igneous rock, extending to great depths, formed from extensive magmatic intrusions over a long period of time and throughout a region, typically associated with volcanic arcs. bedrock—relatively "fresh" unaltered solid (consolidated) rock below the surface sediment cover or exposed in rocky outcrops. beheaded stream—Streams draining across an active strike-slip fault trace may be captured by an adjacent stream. With loss of its water supply or a source of sediments, the older channel will remain as a beheaded stream channel as fault motion continues. bioaccumulation—the buildup of organic remains, such as coral reefs, peat, algae, plankton, and shell or bone beds. biosphere—the regions of the surface and atmosphere of the Earth (or possibly other planets) occupied by living organisms. biotite—a common rock-forming mineral occurring in black, dark-brown, or dark -green sheets and flakes: an important constituent of igneous and metamorphic rocks; a mafic variety of mica. bioturbation—the stirring or mixing of sediment or soil by organisms, especially by burrowing, boring, crawling, feeding or other traces left by biological activity. bituminous coal—soft black coal with a high volatile content, and typically burns with a smoky yellow flame. black smoker—a geothermal vent on the seabed that ejects superheated water containing much suspended matter, typically black sulfide minerals that accumulate around the vent on the seafloor. bollide—a large meteor (or asteroid or comet) that explodes in the atmosphere. Bowen’s reaction series—observed order of formation of silicate minerals as they form in a cooling melt (magma) resulting in the orderly formation of high temperature to low temperature minerals (rocks)—felsic minerals (and rocks) melt at lower temperatures that mafic minerals (and rocks). This was demonstrated by the work of "19th century petrologist" Norman Bowen, who showed that as a silicate-rich melt cools, minerals that form at higher temperatures will crystallize first. As these minerals crystallize, the chemistry of the remaining melt will change as it cools, allowing different minerals to form as the melt proceeds cooling. High-temperature minerals like olivine and Ca-rich feldspar cool first, minerals like quartz, K-rich feldspar, and biotite crystallize last. Fluids, such as gases and water, are concentrated in the remnants of a melt. breccia—a rock consisting of angular rock fragments cemented together. calcite—a common rock-forming mineral consisting of calcium carbonate—CaCO3. Calcite can be white, colorless (transparent), or slightly colored, commonly yellow, by other inclusion of traces of other elements. Calcite is a major constituent of sedimentary rocks such as limestone, chalk, and travertine, and in the metamorphic rock form, marble. caldera—a large volcanic crater, typically one formed by a major eruption (explosion) or the inward collapse of a volcanic cone following an eruption. caliche—a hardened zone in soils and surficial deposits found in semiarid regions where of calcium carbonate and possibly other carbonates, clay minerals, or crystalline salts such as sodium chloride or sodium nitrate impregnated the pore spaces in the sediment or soil. calving—blocks of ice falling off the face of a parent glacier, ice shelf, or iceberg. capillary fringe— a subsurface layer above the water table in which groundwater seeps up from a water table by capillary action to fill pores. catastrophism—The doctrine that major changes in the earth's crust result from catastrophes rather than evolutionary processes. cavern—an underground passage formed by dissolution of rock (typically limestone) by flowing groundwater. "Cave" is often used as a substitute for the more correct term "cavern." cementation—processes that harden sediments through the precipitation of minerals in pore spaces between grains of rock and mineral fragments, binding them together. Cenozoic—The era of time spanning about 65 million years ago to the present. The term applies to rocks that formed or accumulated in that time period. The Cenozoic Era is subdivided into the Tertiary and Quaternary periods. chemical weathering—the breakdown (decomposition or decay) of rock by chemical mechanisms, the most important means being carbonation, hydration, hydrolysis, oxidation, and ion exchange in solution. chert— a hard, dense sedimentary rock, consisting chiefly of interlocking microscopic crystals of quartz and may contain opal. It has a conchoidal fracture and may occur in a variety of colors. chlorite—a dark green mineral consisting of a basic hydrated aluminosilicate of magnesium and iron, often formed by metamorphic alteration (low grade or retrograde greenschist metamorphic facies). cirque—a bowl-shaped, steep sided hollow at the head of a valley or on a mountainside, formed by glacial erosion. clastic—sediments or sedimentary rocks composed of fragments derived from older rocks; examples sandstone, conglomerate. clay minerals—Any of various hydrated aluminum silicates that have a fine crystalline structure and are components of clay (sediment). cleavage—the tendency of a crystallized substance to split along definite crystalline planes, yielding smooth surfaces. Coast Range Ophiolite—California geologic formation name; an assemblage of mafic and ultramafic igneous rocks associated with oceanic crust. In California, the “Coast Range Ophiolite” is of Jurassic to possibly Cretaceous age and whose origin is associated with the upper mantle and the lower oceanic crust of the ancient Farallon Plate. The Farallon Plate predates the development of the San Andreas Fault system, and rocks of the Farallon Plate were either subducted or partially accreted (merged) into the crust that now makes up the Coast Ranges. The Coast Range Ophiolite is associated with serpentinite terranes throughout much of coastal central and northern California. The modern Juan de Fuca Plate offshore of the Cascades volcanic range in Oregon and Washington is a remnant of what was once the greater Farallon Plate. col —a saddle in a glacially carved mountain ridge (a gap in an arete). colluvium—A general term applied to loose and incoherent surficial deposits, usually at the base of a slope and brought their chiefly by gravity. compaction—the process of gravitation consolidation of sediments, decreasing porosity and increasing hardness. condensation—the conversion of atmospheric water vapor into liquid water or ice (causing precipition). conglomerate—A coarse-grained sedimentary rock composed of rounded to sub-angular fragments (larger than 2 mm in diameter) set in a fine-grained matrix of sand or silt, and commonly cemented by calcium carbonate, iron oxide, silica, or hardened clay; the consolidated equivalent to gravel. continental crust—the relatively thick part of the earth's crust that forms the large landmasses. It is generally older and more complex than the oceanic crust, and dominantly composed of igneous and metamorphic of granitic or more felsic composition. continental drift—theory that continents were once assembled (noted from early maps by Abraham Ortelius in 1596). Promoted as a plausible theory by Alfred Wegener, 1912), but criticized for lack of mechanism. Plate Tectonic Theory evolved in the 1960 after global observation data first was assembled. continental rise—a wide, gentle incline from a deep ocean plain (abyssal plain) to a continental slope. A continental rise consists mainly of silts, muds, and sand, deposited by turbidity flows, and can extend for several hundreds of miles away from continental margins. Although it usually has a smooth surface, it is sometimes crosscut by submarine canyons extending seaward of continental slope regions. continental shelf—a submerged nearshore border of a continent that slopes gradually and extends to a point of steeper descent to the ocean bottom. During the peak of the last ice age, the world's continental shelves were mostly exposed coastal plain environments. continental shield—a large regions of igneous and high-grade metamorphic rock of Precambrian-age exposed in the tectonically stable core of continents; an example is the Canadian Shield in east central Canada and the Lake Superior region of the United States. continental slope—the slope between the outer edge of the continental shelf and the deep ocean floor. The continental slope is cut by submarine canyons in many locations. convergent boundary—when continents collide... mountains belts form - examples include the Himalayas, Alps, and ancient Appalachian Mountains when the ancient continent of Pangaea formed. When continents collide with ocean crust... subduction zones with deep ocean trenches and volcanic arcs form - examples include the Andes Mountains, Aleutian Islands, Japan, Philippines, Indonesia, the ancient Sierra Nevada and modern Cascades Range. coquina—a soft type of limestone composed almost entirely of compacted and cemented shell fragments, commonly found on upper beach ares in warm, humid climates. core—based on geophysical studies, the innermost part of the earth is believed to consist of a 758 mile thick magnetic metallic core overlain by a 1400 mile thick zone of molten material. This is overlain by the Earth's mantle. crater—a large bowl-shaped vent or collapsed top of a volcano created by explosive eruptions. Also a large bowl-shaped hole created by an meteor or asteroid impact and explosion. craton—the part of a continent that is stable and forms the central mass of the continent. The craton region of North America includes the region between the Rocky Mountains (to the west) and the Appalachian Mountains (to the east) and including the Canadian Shield. creep—in earthquake terminology, creep is the slow, more or less continuous movement occurring on faults due to ongoing tectonic deformation. In landslide terminology, creep is slow, more or less continuous downslope movement of surface materials (mineral, rock, and soil particles) under gravitational stresses. Cretaceous—the final period of the Mesozoic Era (after the Jurassic Period and before the Tertiary Period of the Cenozoic Era). The Cretaceous Period began about 144 million years ago and ended about 65 million years ago. crust— the outermost solid shell of a rocky planet or moon, which is chemically distinct from the underlying mantle. crystallization—the formation and growth of mineral crystals from the cooling of molten material. dacite—an extrusive igneous (volcanic) rock with an aphanitic to porphyritic texture and is intermediate in composition between andesite and rhyolite. Darcy's Law—the law that the rate at which a fluid flows through a permeable substance per unit area is equal to the permeability, which is a property only of the substance through which the fluid is flowing, times the pressure drop per unit length of flow, divided by the viscosity of the fluid. debris flood— typically disastrous flood, intermediate between the turbid flood of a mountain stream and a debris flow, ranging in sediment load between 40 to 70 percent (the rest is water and trapped gasses). debris flow— A moving mass of rock fragments, soil, and mud in which more than half of the particles being larger than sand size (otherwise it would be a mudflow) and with 70 to 90 percent of the material consisting of sediment (the rest is water and trapped gasses). Slow debris flows may only move a few feet per year, whereas rapid ones can reach speeds greater than 100 miles per hour. Debris flows can display either turbulent or laminar flow characteristics. deep-sea fan—fan- or delta-shaped sedimentary deposit found along the base of the continental slopes, commonly at the mouth of submarine canyons. Deep sea fans form from sediments carried by turbidity flow (density currents) that pour into the deep ocean basin from the continental shelf and slope regions and then gradually settle to form graded beds of sediment on the sea floor. Deep-sea fans can extend for many tens to hundreds of miles away from the base of the continental slope and an coalesce into a broad, gently sloping region called a continental rise. deflation—the removal of particles of rock, sand, soil or dust, by the wind, often leaving a rocky crust (a desert pavement) on a desert landscape. deflected drainage—A stream that displays offset by relatively recent movement along a strike-slip fault. Fault motion and characteristics of the bedrock adjacent to and within a fault zone can influence erosion patterns and diversion of stream drainages over time. Commonly also called a "dogleg" stream drainage. degassing—the process of separation of volatile gases (CO2, CH4, SO2, etc.) and steam from molten material (magma or lava). delta—a wedge or apron-shaped deposit of sediments at the mouth of a river where it enters a large body of water (ocean or lake). deposition—the process of sediments settling and accumulating from a moving fluid (wind, water, or ice). desert pavement—a gravel layer that forms on the surface of many desert landscapes where the wind has removed finer materials (sand, silt, dust). desert varnish—a dark, hard film of oxides formed on exposed rock surfaces in arid regions. detrital sedimentary rocks—rocks are formed from solid particles of pre-existing rocks or organic debris. diabase—a fine granular intrusive igneous or volcanic rock of mafic composition, intermediate in texture between basalt and gabbro, found in volcanic dikes and sills. diagenesis—the physical and chemical changes occurring during the conversion of sediment to sedimentary rock. dike—a vertical or near vertical wall of igneous rock formed where magma squeezed into a fault zone before crystallizing. Dike form in volcanic regions, and often appear as dark castle wall-like features on landscapes where the host rock surrounding the intrusion have eroded away. diorite—a crystalline intrusive igneous rock intermediate in composition between granite and gabbro, consisting essentially of plagioclase and hornblende or other mafic minerals; having a "salt and pepper"-like appearance. dip-slip faults—Inclined fractures where the blocks have mostly shifted vertically. If the rock mass above an inclined fault moves down, the fault is termed normal, whereas if the rock above the fault moves up, the fault is termed reverse. A reverse fault in which the fault plane is inclined at an angle equal to or less than 45° is called a thrust fault. dip—The angle that a rock layer or any planar feature makes with the horizontal, measured perpendicular to the strike and in a vertical plane. disconformity—a break in a sedimentary sequence where rocks (strata) below and above are parallel but are of different geologic ages. dissolution—the action or process of dissolving or being dissolved, such as salt (NaCl) or calcite (CaCO3) dissolving into groundwater. divergent boundary—when plates diverge, spreading centers form creating new oceanic crust. Examples include mid-ocean ridges in world's ocean basins. Speading centers occur where continents are pulling apart. Examples include the Africa rift zones, Red Sea basin, Iceland, and North America's Great Basin region including the Gulf of California. dolomite—A white or light-colored mineral, essentially CaMg(CO3)2, commonly found in association with limestone or marble. Dolomite is a common replacement mineral in limestone that has been exposed the high magnesium content brine fluids. dolostone—A rock composed mostly of the mineral dolomite, typically a white, light gray or pink with a sugary crystalline texture. drainage basin—a region drained by a principle stream extending from upland headwater regions down to where the stream merges with another body of water (a larger stream or river, lake, or ocean). A divide is a line that marks the boundary between two drainage basins. drainage pattern—a pattern created by stream erosion over time that reveals characteristics of the kind of rocks and geologic structures in a landscape region drained by streams. drumlin—a low oval-shaped mound or small hill, typically one of a group, consisting of compacted glacial till shaped by flowing ice in a region that experienced glaciation. dune—an acculuation of wind-blown sand and/or silt found in association with deserts or sandy beach settings where there is a constant supply of silt to sand grain-sized sediments. earthflow—a slow moving downslope viscous flow of fine grained materials that have been saturated with water, and moves under the pull of gravity; a slow moving mass of material, slower than a more fluids debris flow, rock fall, or avalanche. earthquake fault—An active fault that has a history of producing earthquakes or is considered to have a potential of producing damaging earthquakes on the basis of observable evidence. Not all faults are active or are considered earthquake faults. earthquake—Ground shaking caused by a sudden movement on a fault or by volcanic disturbance. ecologite—A high-grade metamorphic rock containing granular minerals, typically red garnet mixed with grains of pyroxene, quartz, and feldspars. epicenter—The point on the Earth’s surface above the point at depth in the Earth’s crust where an earthquake begins. erosion—the mechanical processes of wearing or grinding away materials on a landscape by the action of wind, flowing water, or glacial ice. erratic—a rock or boulder that differs from the surrounding bedrock and is believed to have been transported from a distant location by glacial action. escarpment—A long, more or less continuous cliff or relatively steep slope facing in one general direction, separating two level or gently sloping surfaces, and produced by faulting or erosion. esker—a long, typically winding, ridge composed of gravel and other sediment deposited by meltwater from a retreating glacier or ice sheet. 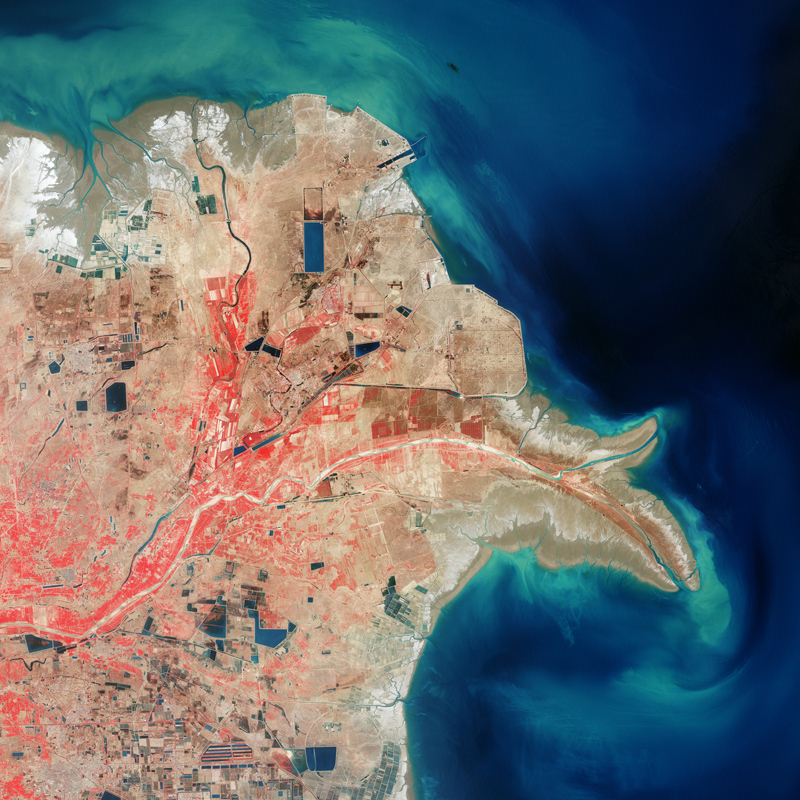 estuary—the mouth of a river or stream where the tide-driven flow allows the mixing of freshwater and ocean saltwater. evaporation—the physical conversion of a liquid into a vapor. evaporite—a rock composed of salt minerals left behind by the evaporation of salty water. exfoliation—joints or sheet joints are surface-parallel fracture systems in rock often leading to erosion of concentric slabs. extension—the tectonic stretching of crustal rocks, typically forming parallel basin and range landscapes, such as seen throughout Nevada. extinction—the elimination of all members of a species, or the state or process of a species, family, or larger group being or becoming extinct..
extraterrestrial materials—rock, ice, dust, and gases found beyond earth's atmosphere. extrusive igneous rocks—rapidly cooling magma (or lava), on or near the surface, crystallizes quickly, preventing visible crystals from forming. Igneous rock that forms from the eruption of molten material at the surface. Extrusive rocks include lava flows and pyroclastic material such as volcanic ash. facies—the character of a rock expressed by its formation, composition, and fossil content. fact—Knowledge or information based on real occurrences; something demonstrated to exist or known to have existed. fault line—The trace of a fault plane on the ground surface or other surface, such as on a sea cliff, road cut, or in a mine shaft or tunnel. A fault line is the same as fault trace. Faults lines can often be difficult to resolve from general surface observation due to cover by younger sediments, vegetation, and human-induced landscape modifications. fault scarp—An escarpment or cliff formed by a fault that reaches the Earth’s surface. Most fault scarps have been modified by erosion since the faulting occurred. fault system—A collection of parallel or inter­connected faults that display a related pattern of relative offset and activity across an entire region (for example, the San Andreas Fault system). fault zone—A fault or set of related faults that is expressed as a zone of numerous small fractures or of “breccia” or “fault gouge.” A fault zone may be hundreds of feet wide and may locally have a complex structure. fault—A fracture or crack along which two blocks of rock slide past one another. This movement may occur rapidly, in the form of an earthquake, or slowly, in the form of creep. Types of faults include strike-slip fault, normal fault, reverse fault, and thrust fault. feldspar—an abundant group of rock-forming mineral typically occurring as colorless or pale-colored crystals and consisting of aluminosilicates of potassium (orthoclase), and sodium and calcium (plagioclase). felsic—minerals of silica and aluminum-rich composition, and the rocks that form from them. Felsic materials are typically less dense than mafic materials (minerals and rocks rich in iron and magnesium). fissure eruption—volcanic eruptions along rift fault zones that can flood large area with basalt flows. fjord—a long, narrow, deep inlet of the sea between high cliffs typically formed by submergence of a glaciated U-shaped valley. flint—a hard (typically gray or brown) rock consisting of nearly pure silica (chert), occurring chiefly as nodules in chalk or limestone. flood basalt—the result of a giant volcanic eruption or series of eruptions that coats large stretches of land or the ocean floor with basalt lava. Another older name is trap basalt. 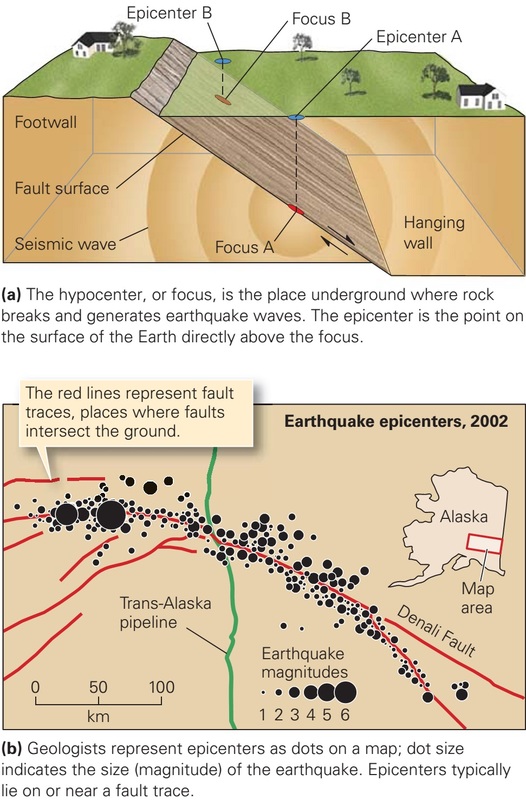 focus—the point below the Earth's surface where seismic waves originate during an earthquake. foliation—any penetrative planar fabric present in rocks, especially rocks affected by regional metamorphic compression typical of orogenic belts. folding—bending or warping of stratified rocks by tectonic forces (movements in the Earth's crust). foot wall—The underlying block of a fault having an inclined fault plane. fossil—A remnant or trace of an organism of a some earlier geologic age, such as a skeleton or leaf imprint, embedded and preserved in the earth's crust. fossilization—the processes that turn plant or animal remains to stone. Franciscan Formation— A California geologic formation name; an assemblage of rocks exposed throughout the Coast Ranges of California that consists of a mix of volcanic rocks, chert, shale, graywacke sandstone, limestone, basalt, and other oceanic crustal rocks that have been partially metamorphosed during their migration from place of origin in a deep ocean basin to being accreted by plate tectonic forces onto the west coast of North America. The name Franciscan was first applied to bedrock of Jurassic and Cretaceous age in the San Francisco region, but the name is commonly used throughout much of coastal central and northern California. frost wedging—the shattering, fracturing, and moving rock and soil caused by the expansion of freezing water turning into ice. Frost wedging is a major force in seasonally wet regions where daytime temperatures rise above freezing and sink below freezing at night. fumerole—an opening or vent in or near a volcano, through which hot sulfurous gases, steam, and other gases emerge. gabbro— A group of dark-colored, basic intrusive igneous rocks composed principally of calcic-plagioclase minerals (labrodorite or bytonite) and augite, and with or without olivine and orthopyroxene. It is the approximate intrusive equivalent of basalt. galaxy—a system of millions to billions of stars, together with gas and dust, held together by gravitational attraction. Earth is in the Milky Way galaxy. garnet—any of several common, widespread crystalline aluminum or calcium silicate minerals, often embedded in igneous and metamorphic rocks, and colored red, brown, black, green, yellow, or white and used both as gemstones and as abrasives. Garnet is an indicator mineral of high-grade metamorphic rocks (such as eclogite facies). geologic time scale—Geologists have subdivided periods in Earth's history is measured periods spanning millions of years (Ma). 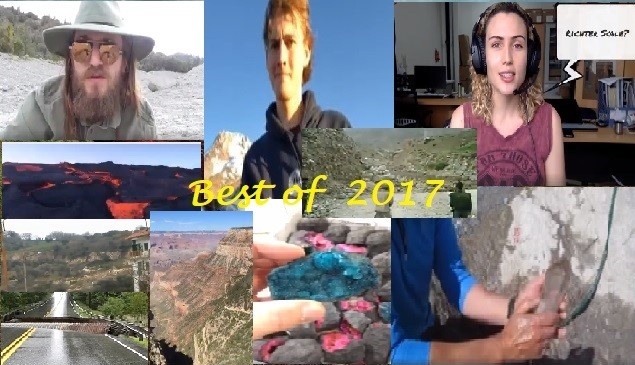 Segments of time periods have been named to help define the chronology of events (such as mountain range formation), the formation of rock units (such as the age of a lava flow), the age of fossils, organizing geologic map units, and other purposes. Below is a standard geologic time scale listing names of major time periods with time span information. 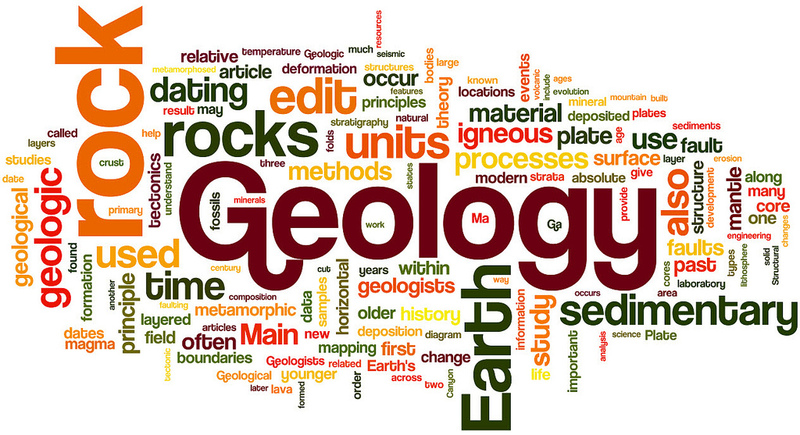 geology —The study of the Earth.The scientific study of the origin, history, and structure of the earth. The structure of a specific region of the earth's crust. And, the scientific study of the origin, history, and structure of the solid matter of a celestial body. geomorphology — the study of the earth's surface including classification, description, nature, origin, and development of landforms and their relationships to underlying structures and the history of geologic changes as recorded by these surface features. Examples of geomorphic features associated with faults are illustrated below. geyser—a hot spring in which water intermittently boils and erupts, sending a tall column of water and steam into the air. glaciation—a period when the ice or glaciers cover or alter the land's surface, resulting in erosion by flowing ice. glacier—a slowly moving mass or river of ice formed by the accumulation and compaction of snow over many years, forming on mountains or land masses near the Earth's poles. gneiss—a metamorphic rock with a banded or foliated structure, typically coarse-grained (crystalline) and consisting mainly of feldspar, quartz, and mica. gneissic texture—a coarsely foliated texture in which the minerals have been segregated into discontinuous bands, each of which is dominated by one or two minerals, giving the rock a striped appearance. graben—an elongate, structurally depressed crustal area or block of crust that is bounded by faults on its long sides. A graben may be geomorphically expressed as a rift valley or pull-apart basin. granite—a common, coarse-grained (crystalline), light-colored, hard plutonic igneous rock consisting chiefly of quartz, orthoclase or microcline (feldspars), and mica. Great Valley Sequence— ACalifornia geologic formation name; a thick sequence of late Mesozoic age sedimentary rocks (150 to 65 million years old). These rocks consist mostly shale, sandstone, conglomerate and are exposed throughout parts of California’s Coast Ranges and underlies much of the Great Valley west of the Sierra Nevada Range. The Great Valley Sequence represents sedimentary material deposited in shallow shelf to deep-sea environments along the western continental margin mostly before the development of the modern San Andreas Fault System. greenstone—a metamorphic rock derived from any basic igneous rocks (typically altered basalt) colored green by the minerals chlorite, hornblende, or epidote. graywacke—(greywacke or grauwacke, a German word signifying a grey, earthy rock) is a variety of sandstone or mudrock generally characterized by its dark color and poorly sorted angular grains including a mix of quartz, feldspar, dark mafic minerals, and tiny rock fragments cemented in a compact, clay-fine matrix. groundwater—Water beneath the land's surface, filling pore spaces in saturated soil and rock; water that supplies wells and springs. grus—grainy sand and fine gravel (sediments) derived from the weathing of granitic rocks, typically in arid or semiarid regions. guyot—a submarine mountain (seamount) with a flat top. Most guyots are ancient submarine volcanoes that have been beveled by wave action before sinking into ocean depth and may lack the fringing limestone reefs associated with atolls. gypsum—a mineral composed of hydrous calcium sulfate (CaSO4-2H20); an evaporite mineral used in the manufacture of plaster. hanging wall—the rocks on the upper side of an inclined fault plane. head—the height that groundwater will rise in a confined well under artesian water pressure. hematite—A reddish, steel gray, or black mineral consisting of ferric oxide (Fe2O3). historical geology—A branch of geology concerned with the systematic study of bedded rocks and their relations in time and the study of fossils and their locations in a sequence of bedded rocks. Holocene—The name applied to the time span that corresponds with the post-glacial warming period in which we now live. The Holocene Epoch began about 11,000 years ago (at the end of the Pleistocene Epoch of the Quaternary Period), about the time that human population growth and distribution expanded worldwide. horn—a pointy mountain peak having concave faces carved by glaciation. horst—a raised elongated block of the earth's crust lying between two faults. hotspot—a place in the upper mantle of the Earth at which extremely hot magma from the lower mantle upwells to melt through the crust usually in the interior of a tectonic plate to form a volcanic feature. Examples include the Hawaii or Yellowstone hotspots. hotspring—a spring that is produced by the emergence of geothermally heated groundwater from the Earth's crust, and usually defined as spring water warmer than the human body. hydrology—the science concerned with the properties of the earth's water, especially its movement in relation to the land's surface. The study of groundwater is geohydrology. hydrosphere—All the waters on the Earth's surface, such as oceans, lakes, rivers, and streams. hydrothermal veins—fractures in rock that have been filled with minerals (commonly quartz and/or calcite) precipitated from groundwater or hot fluids of magmatic origin. hypothesis—A tentative explanation for an observation, phenomenon, or scientific problem that can be tested by further investigation. ice age—a period in Earth's history when the global temperatures cooled enough for glaciers (both alpine and continental glaciers) to form. Note that parts of the world, e.g. Greenland and Antarctica, are still experiencing ice-age-like conditions. ice cap—an extensive dome-shaped or platelike perennial cover of ice and snow that spreads out from a center and covers a large area, especially of land. ice sheet—an ice sheet is the layer of ice covering extensive regions of the world, notably Antarctica and Greenland. The ice sheets form from the accumulation of thousands or millions of years of snowfall. With compaction, the snow turns to glacial ice. ice shelf—An ice shelf is a thick floating platform of ice that forms where a glacier or ice sheet flows down to a coastline and onto the ocean surface. igneous—A rock or mineral that solidified from molten or partly molten material (referring to magma underground or lava on the surface). The word igneous also applies to the processes related to the formation of such rocks. Examples of igneous rocks include granite, gabbro, and basalt. igneous rocks—A rock formed from molten materials, includes intrusive rocks (rocks cooled below the surface) and rocks formed on the Earth's surface by volcanism (and from melting associated with extraterrestial impacts). impact crater—a bowl-shaped depression created by the explosion of a massive meteorite or asteroid body with the surface of a planet. inselberg—an isolated rocky hill or mountain rising above a plain-like landscape in a typically hot, dry region. intensity—A measure of ground shaking describing the local severity of an earthquake in terms of its effects on the Earth’s surface and on humans and their structures. The Modified Mercalli Intensity (MMI) scale, which uses Roman numerals, is one way scientists measure intensity. intrusion—liquid (molten) rock that forms under the surface of the earth that typically migrates upward, displacing and/or melting other rock as it moves. intrusive igneous rocks—intrusive igneous rocks form in naturally insulated settings (rock is a poor conductor of heat) so that minerals crystallize slowly, forming large, visible crystals. intrusive—Igneous rocks that forms from the process of emplacement of magma in pre-existing rock. Intrusive igneous rocks typically cool slowly compared to extrusive igneous rocks formed on the Earth’s surface and therefore commonly have a coarse crystalline texture (like granite or gabbro). The word intrusive applies to both the intrusion process and the rock so formed. isostacy—the state of balance, or equilibrium, which sections of the earth's lithosphere (whether continental or oceanic crust) are thought ultimately to achieve when the vertical forces upon them remain unchanged. The lithosphere floats upon the semifluid asthenosphere below. If a section of lithosphere is loaded, as by ice, it will slowly subside to a new equilibrium position; if a section of lithosphere is reduced in mass, as by erosion, it will slowly rise to a new equilibrium position. joint—a fracture in rock where the displacement associated with the opening of the fracture is greater than the displacement due to movement in the plane of the fracture (up, down or sideways) of one side relative to the other. Cracks in rocks that do not show apparant offset are joints. Jurassic—The second period of the Mesozoic Era (after Triassic Period and before Cretaceous Period) and spans the period of time between about 206 and 144 million years ago. karst—A landscape underlain by limestone and is characterized by numerous caves, sinkholes, fissures, and underground streams. laccolith—a mass of igneous rock, typically lens-shaped, that has been intruded between rock strata causing uplift in the shape of a dome. lahar—A landslide or mudflow of volcanic materials on the flanks of a volcano. Also the name of the deposit created by a landslide or mudflow on a volcanic landscape. laminae (lamination)—a layer of sediment or sedimentary rock only a small fraction of an inch (less than a centimeter) in thickness. landslide— A general term covering a wide variety of mass-movement landforms and processes involving the down slope transport of soil and rock under the influence of gravity. Usually the displaced material moves over a relatively confined zone or surface of shear. 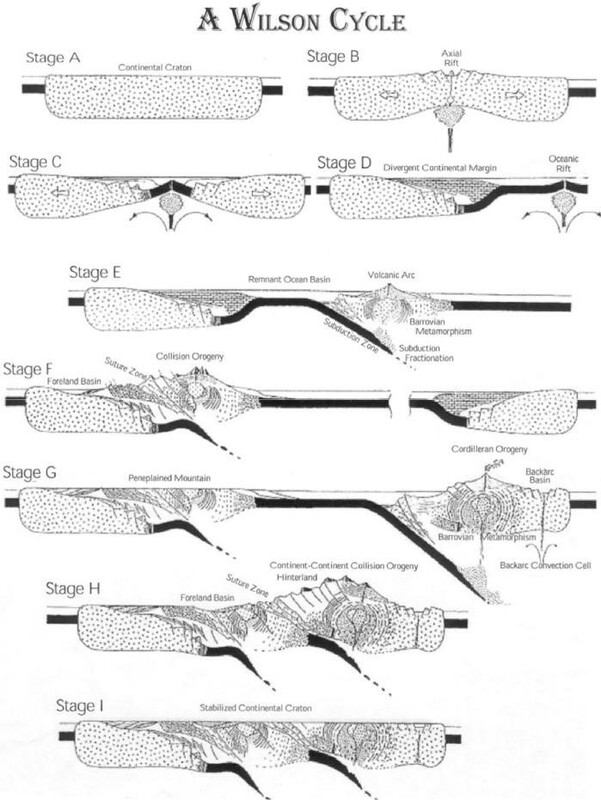 Landslides have a great range of morphologies, rates, patterns of movement, and scale. Their occurrence reflects bedrock and soil characteristics and material properties affecting resistance to shear. Landslides are usually preceded, accompanied, and followed by perceptible creep along the surface of sliding and (or) within the slide mass. Slumps, debris flows, rockfalls, avalanches, and mudflows are all forms of landslides. lava—molten rock flowing on the land's surface. Underground, molten rock is called magma. lava flows—a deposit of volcanic rock formed from lava flowing and cooling on the land's surface; also applies to the action of flowing lava on the land's surface. lava tube—a natural tunnel within a solidified lava flow, formerly occupied by flowing molten lava. 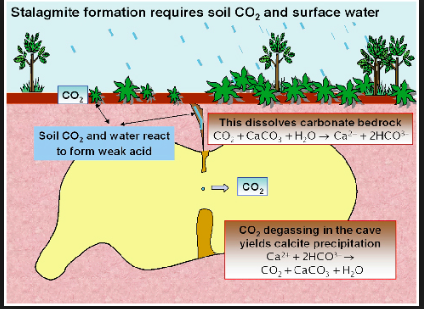 leaching—the process of dissolving and removing the soluble constituents of soil or rock near the land's surface; associated with the chemical weathering of rock and the formation of soil. lignite—an organic deposit of soft brownish coal preserving traces of plant structure, intermediate between peat and bituminous coal. 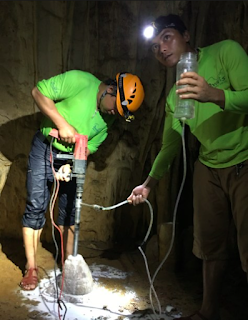 lime mud—sediment composed of calcium carbonate (CaCO3) derived from the skeletal remains of shelled organisms, coral, and calcareous algae; the sediment that with compaction and cementation (lithification) become limestone. limestone—a sedimentary rock consisting predominantly of calcium carbonate (CaCO3) derived from the skeletal remains of marine marine microorganisms, shells and coral. Limestone is commonly used in the manufacture of lime for cement and used as building stone. limonite—An amorphous orange to brownish mineral consisting of a mixture of hydrated ferric oxides, important as an iron ore. Rust on iron vehicles is essentially limonite. linear drainage— A stream drainage that follows the trace of a fault. Stream alignment may be a result of strike-slip fault motion or the erosion of sheared and pulverized rock along a fault zone. linear ridge— A long hill or crest of land that stretches in a straight line. It may indicate the presence of a fault or a fold (such as an anticline or syncline). If it is found along a strike-slip fault it may be a shutter ridge or a pressure ridge. linear scarp— A straight escarpment where there is a vertical component of offset along a fault (either normal or reverse). Linear scarps may also form when preferential erosion removes softer bedrock or soil along one side of a fault. linear trough— A straight valley that may be bounded by linear fault scarps. A linear trough may be a graben or a rift valley and may be modified by erosion. liquefaction—the conversion of poorly consolidated sediment into a flowing liquid caused by earthquake shaking. lithosphere—the rocky outer portion of the Earth, consist of the crust and upper mantle (about the upper 60 miles below the Earth's surface). loess—A tan, buff to gray windblown deposit of fine-grained, loamy, calcareous silt or clay; fine-grained deposits typically derived from glacial outwash plains or dust derived from arid regions. longshore drift—the process by which sediments (sand and gravel) move along a beach shoreline, caused by currents created by waves appoaching the shore at an oblique angle. mafic rocks—mafic rocks (rich in iron and magnesium) are denser than felsic rocks (rich in silica and aluminum). mafic— A mnemonic term combining and “Ma” (for magnesium) and “Fe” (for ferric iron). The term is used to describe dark-colored igneous minerals rich in iron and magnesium, as well as the rocks that bear those minerals. See also felsic and ultramafic. magma—hot, fluid or semimolten rock material underground (within the earth's crust). Magma that reaches the land's surface is called lava. magmatic differentiation—processes by which chemically different igneous rocks, such as basalt and granite, can form from the same initial magma. High-temperature minerals can crystallize and settle out, causing the molten material to be concentrated with component that may later form rock enriched in low temperature minerals (such as granite). The last rocks to crystallize in a magmatic intrusion will be enriched in low temperature minerals (quartz, mica, and potassium- and sodium feldspars). magnetite—a gray-black magnetic mineral that consists of iron oxide (Fe3O4) and is an important form of iron ore.
magnitude (M)—A numeric measure that represents the size or strength of an earthquake, as determined from seismographic observations. mantle—an inner layer of a terrestrial planet or other rocky body large enough to have differentiated in composition by density. On Earth, the mantle is a highly viscous layer between the crust and the outer core. marble—a crystalline metamorphic rock composed primarily of calcium carbonate (CaCO3). A product of metamorphism of limestone. mass wasting—a general name for processes by which soil, regolith, and rock move downslope under the force of gravity. Types of mass wasting include creep, landslides, mudflows, debris flows, lahars, topples, rock falls, and avalanches—each with its own geomorphic characteristics, and taking place over timescales ranging from seconds to years. meandering—A meander is a bend in a sinuous watercourse. 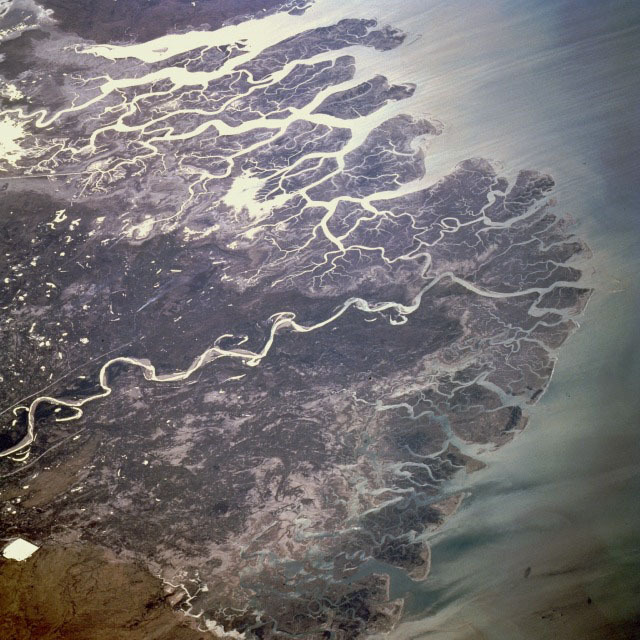 Meandering is the process when the faster-moving water in a river erodes the outer banks and widens its valley, and the slower-moving water on the inner side of the bend becomes a place where sediments are deposited. 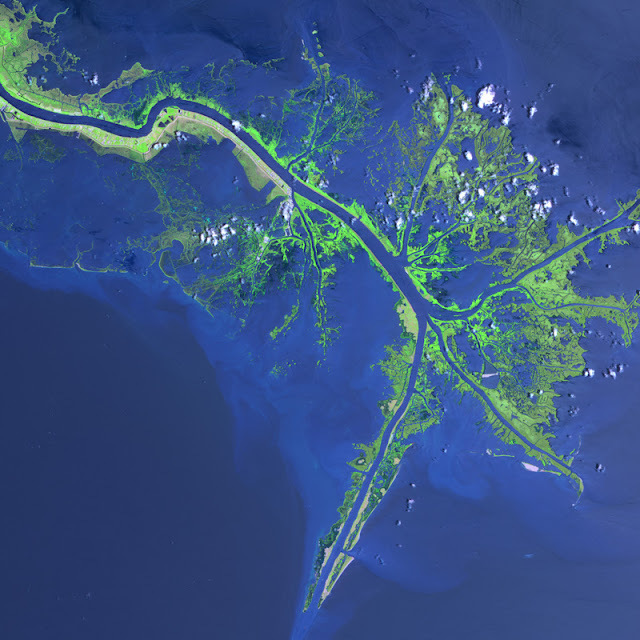 As a result, rivers tend to constantly change their course over a floodplain over time. mechanical weathering—All processes that collectively break rocks into smaller pieces. Examples include breaking rocks by water expansion during freezing in cracks, plant root expansion, all forms of mass wasting, and rock particles breaking as they tumble down stream beds during floods or get battered by wave action along a shoreline. Mesozoic—The era of geologic time spanning about 248 to 65 million years ago. The Mesozoic Era follows the Paleozoic Era and precedes the Cenozoic Era. The Mesozoic Era is subdivided into the Triassic, Jurassic, and Cretaceous Periods. The term also applies to rocks that formed and accumulated in that time period. metachert—extremely hard, brecciated, and recrystallized chert that still retains its microcrystalline texture. metaconglomerate—conglomerate that has been partially metamorphosed, retaining some of the distinct character of original gravel clasts, although they may be stretched or recrystallized. metamorphic—Pertaining to the process of metamorphism or to its results. Metamorphism is the mineralogical, chemical, and structural adjustment of solid rocks to physical and chemical conditions imposed at depth below the surface and below surficial zones where processes of sedimentation, compaction, and cementation take place. 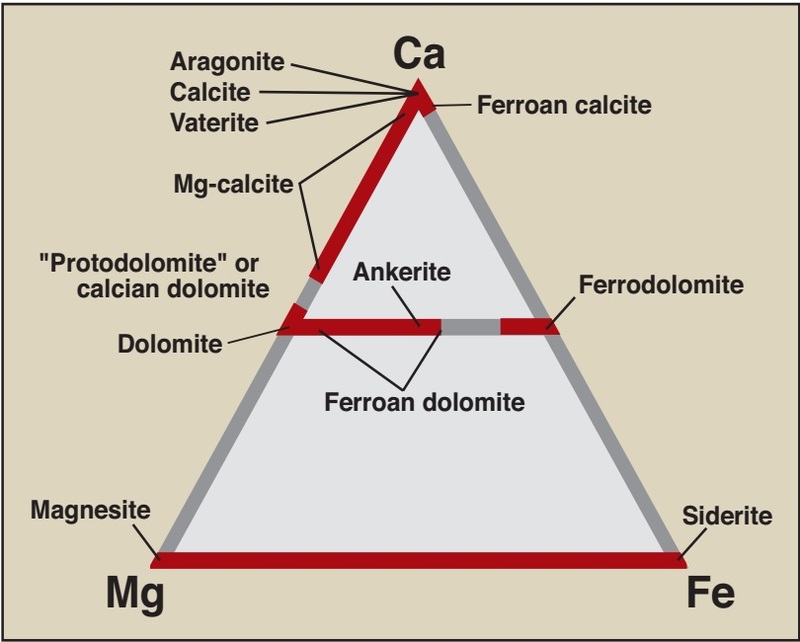 Metamorphism may take place where a rock is subjected to conditions unlie those in which it formed. Examples of metamorphic rocks include slate, marble, quartzite, greenstone, gneiss, and schist. metamorphic rocks—Rock that was once one form of rock but has changed to another under the influence of heat, pressure, or fluids without passing through a liquid phase (melting). meteor—a streak of light generated by a particle of rock as it burns up as it passes through the atmosphere. meteorite—a stone of extraterrestrial origin that survives passage through the atmosphere and collision with the earth. mid-ocean ridge—an undersea mountain system that consists of various mountain ranges and volcanoes, typically having a valley known as a rift running along its spine, formed by tectonic plates moving apart; regions along separating plate boundaries where new ocean crust is forming. migmatite—rock intermediate between metamorphic igneous character. Migmatite shows irregular banding and much recrystallization, typical of metamorphic gneisses that have taken on igneous character through partial melting. mineral—Any naturally occurring, homogeneous, inorganic solid substance having a definite chemical composition and characteristic crystalline structure, color, and hardness. mineral precipitation—the process of mineral formation directly from a fluid (a water solution and/or hydrothermal gases) such as calcite from seawater or groundwater. mineral—a naturally occurring, homogeneous inorganic solid substance having a definite chemical composition and characteristic crystalline structure, color, and hardness. Miocene—an epoch of the late Tertiary Period, after the Oligocene Epoch and before the Pliocene Epoch, representing the time span between about 23.8 and 5.3 million years ago. moraine—accumulations of rocks and sediment deposited by a glacier, typically as ridges at its edges or its terminal boundary of flow and zone of wastage. mudflow—a downhill movement of soft wet mud and rock debris, made fluid by rain or melted snow, and capable of moving downslope at great speed (also see debris flow). mudstone—a fine-grained sedimentary rock formed from the compaction and cementation (litification) of muddy sediments. muscovite—a silver-gray form of mica (platy sheet silicate mineral) occurring in many igneous and metamorphic rocks. mylonite—a fine-grained metamorphic rock, typically banded, resulting from the grinding or crushing of other rocks in a fault zone. neap tide—the lowest level of high tide; a tide that occurs when the difference between high and low tide is least. Neap tide comes twice a month, in the first and third quarters of the moon. nonconformity—an unconformity that separates crystalline rocks, either igneous or metamorphic, from younger sedimentary rocks. normal fault—a fault in which the hanging wall appears to have moved downward relative to the foot wall. The dip angle of the slip surface is between 45 and 90 degrees. Many normal faults in mountainous regions form from gravitational pull along mountainsides and may be associated with the headwall escarpment of slumps. 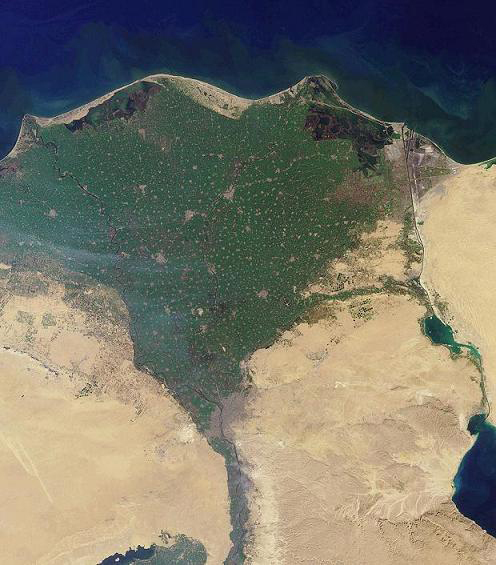 oasis—a fertile or green spot in a desert or wasteland, made so by the presence of water. oblique-slip faults—faults that display significant components of both horizontal (strike-slip) and vertical (dip-slip) motion. observation—the act of noting and recording something, such as a phenomenon, with instruments, in order to gain information. obsidian—a dark, glasslike volcanic rock formed by the rapid solidification of lava without crystallization (natural glass). ocean crust—part of Earth's lithosphere that underlies ocean basins. Oceanic crust is primarily composed of mafic rocks (rich in iron and magnesium) and are less dense than rocks that underlie continents (continental crust is enriched in silica and aluminum). Ocean crust around the world is significantly younger (less than 200 million years) relative to continental crust which has typically accumulated through the natural refining processes associated with plate-tectonics over many hundreds of millions to several billion years. offset drainage— A stream that displays offset by relatively recent movement along a strike-slip fault. A better term is deflected drainage. oil—the liquid component of petroleum (as opposed to gas or asphalt or tar). Petroleum is the derivative of the metamorphism of organic-rich sedimentary rocks rich in volatile components, especially lipids. olivine—a mineral silicate of iron and magnesium, principally (Mg,Fe)2SiO4, found in igneous and metamorphic rocks occurring in basalt, peridotite, and other basic igneous rocks. ooze—wet mud or slime found at the bottom of an ocean, lake, or river composed mostly of organic and skeletal remains of plankton. ophiolite— an assemblage of mafic and ultramafic igneous rocks ranging from basalt to gabbro and peridotite, including rocks derived from them by later metamorphism (such as serpentinite), and whose origin is associated with the upper mantle and the formation of oceanic crust at spreading centers in deep ocean basin settings. organic maturation—the gradual metamorphic processes that take place over time, involving burial and geothermal heating, that convert organic remain preserved in sediments into petroleum (oil, gas, and tar) or coal (conversion of plant material to peat, lignite, subbituminous coal, and anthracite coal, in increasing order of maturation. orogenesis—the process of mountain range formation, especially by a folding and faulting of the earth's crust under compressional forces. oxbow—a crescent lake on a stream floodplain formed when a meandering stream channel is cut off and isolated by changes in a stream channel. P wave—a compressional wave (P) is a seismic body wave that shakes the ground back and forth in the same direction and the opposite direction as the direction the wave is moving. pa'hoe'hoe—textural description basaltic lava forming smooth undulating or ropy masses on the surface of a rapidly cooling lava flow. paleomagnetism—the study of the fixed orientation of a rock's magnetic minerals as originally aligned at the time of the rock's formation. Paleomagnetism is usually the result of thermo-remanent magnetization (magnetization that occurs in igneous rocks as they cool below the Curie Point). Igneous rocks may keep their magnetic orientation they obtain at the time they form (if they are not altered). This magnetic signature is preserved, even if the landmass they are is moving. Paleozoic—the era of geologic time spanning about 543 to 248 million years ago. The Paleozoic Era follows the Precambrian Era and precedes the Mesozoic Era. The term also applies to rocks that formed and accumulated in that time period. Pangaea—a supercontinent comprising all the continental crust of the earth, theorized to have existed in late Paleozoic and through early Mesozoic times before the component continents separated and migrated into their current configuration. passive continental margin—a passive margin is the transition between oceanic and continental crust which is not an active plate margin. Examples of passive margins are the Atlantic and Gulf coastal regions which represent setting where thick accumulations of sedimentary materials have buried ancient rifted continental boundaries formed by the opening of the Atlantic Ocean basin. pater noster lakes—a series of moraine-dammed lakes formed by the intermittent retreat of a valley glacier in a mountainous region. peat—an accumulation of partially decayed vegetation matter that has a brown, soil-like character typical of boggy, acid ground or swampy setting. pediment—a gently inclined erosional surface carved into bedrock, typically covered with stream gravel that has developed at the foot of mountains. It develops when running water erodes most of the mass of the mountain down to a base-level consistent with surrounding alluvial fans in an arid or semiarid region. pegmatite—a coarsely crystalline granite or other igneous rock with crystals several centimeters in length, and sometimes containing rare minerals rich in rare elements such as uranium, tungsten, beryllium and tantalum. peridotite—a dense, coarse-grained plutonic rock containing a large amount of olivine, considered to be the main constituent of the earth's mantle. permeability—a measure of the ability of a porous material (rock or unconsolidated sediments) to transmit fluids. petroleum—a natural flammable liquid mixture of hydrocarbons that is present in certain rock strata and can be extracted and refined to produce fuels including gasoline, kerosene, diesel oil, or chemically converted to other materials, such as plastics, and other petroleum-based byproducts. phaneritic—a term usually used to refer to igneous rock grain size and texture. It means that the size of matrix grains in the rock are large enough to be distinguished with the unaided eye as opposed to aphanitic (which is too small to see with the naked eye). phenocryst—a large or conspicuous crystal in a porphyritic volcanic or igneous rock, distinct from a more fine-grained groundmass (mineral matrix). phreatic zone—the zone of saturated rock or sediment below the water table where pore spaces between grains or within fractures are mostly filled with water. phyllite—a fine-grained metamorphic rock with a well-developed laminar structure, intermediate between slate and schist. 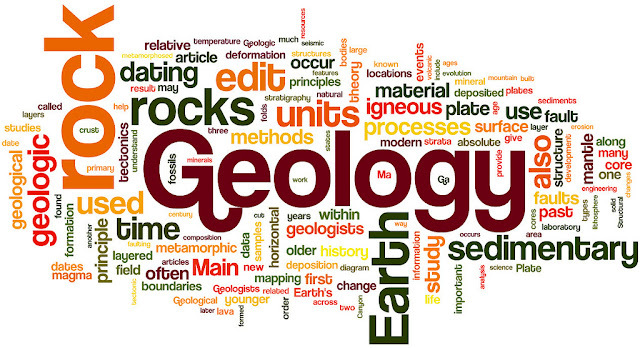 physical geology—the branch of geology concerned with understanding the composition of the earth and the physical changes occurring in it, based on the study of rocks, minerals, and sediments, their structures and formations, and their processes of origin and alteration. physiographic province—a geographic region with a specific geomorphology and often specific subsurface rock type, age, or structural elements. piedmont glacier—a thick, continuous ice sheet formed along the base of a mountain range formed by the spreading out and coalescing of valley glaciers supplying ices from higher mountain elevations. pillow basalt—a volcanic rock formation consisting of stacked pillow-shaped pods of basaltic lava formed by lava flowing and rapidly cooling on the surface of a subaerial lava flow. planet—a celestial body moving in an elliptical orbit around a star that is large enough to have a round shape due to internal gravitational forces. planktonic ooze—slimy mud on the bottom of an ocean or lakebed formed from the accumulation of skeletal and organic remains of microscopic organisms. plate tectonics—the scientific theory that the Earth’s outer shell is composed of several large, thin, relatively strong “plates” that move relative to one another. Movements on the faults that define plate boundaries produce most earthquakes. playa—an ephemeral (intermittently flooded) lake bed that occupies the lowest part of a internally drained, isolated valley in an arid or semiarid region. Pleistocene—the Quaternary Period is subdivided into the Pleistocene Epoch and the Holocene Epoch. The Pleistocene Epoch represents the time span of about 1.8 million to about 11,000 years ago. Many episodes of continental glaciation and intervening ice-free periods occurred within the Pleistocene Epoch. The Holocene Epoch began about 11,000 years ago, about the time that human population growth and distribution expanded worldwide. Pliocene—an epoch of the late Tertiary Period following the Miocene Epoch and proceeding the Quaternary Period (or Pleistocene Epoch) and representing the time span from about 5.3 to 1.8 million years ago. The cycles of ice-age glaciations and intervening warming periods began in Pliocene time. pluton—a body of intrusive igneous rock (plutonic rock) that crystallized from magma slowly cooling below the surface of the Earth. Types of plutons include batholiths, dikes, sills, laccoliths, stocks, and other igneous bodies. plutonic rock—A rock formed at considerable depth by crystallization of magma and/or by chemical alteration. It is usually medium- to coarse-grained with a granitic (phaneritic) texture. plutonism—formation of intrusive igneous rock by the genesis, movement and solidification of magma beneath the earth's surface. porosity—the state of being porous, or the ratio of the volume of all the pores (gas- or fluid-filled space) in a material to the volume of the whole. porphyry—A hard igneous rock containing visible crystals, usually of feldspar, in a fine-grained (microcrystalline), typically dark gray, reddish, or purplish groundmass. precipitation—in meteorology usage: rain, snow, sleet, or hail that falls to the ground; in geology usage: the action or process of precipitating a substance from a solution. pressure ridge—a topographic ridge produced by compressional forces along a strike-slip fault zone. Pressure ridges typically are located where there are bends along a fault or where faults intersect or stepover. Pressure ridges can be shutter ridges and can occur on one or both sides of a fault or within a fault zone. pull-apart basin—a surface depression will form along a fault where down warping of the surface occurs, such as from a developing fold or a fault-bounded graben. Closed depressions can form where extensional bends or stepovers occur along a strike-slip fault zone. pyroclastic flow—a dense cloud of very hot ash, lava fragments, and gases ejected explosively from a volcano and typically flowing downslope at great speed and with destructive force. pyroxene—Any of a large class of rock-forming silicate minerals, generally containing containing two metallic oxides combining magnesium, iron, calcium, sodium, or aluminum and typically occurring as prismatic crystals. pyroxenite—a dark gray or greenish, granular intrusive igneous rock consisting chiefly of pyroxenes and olivine; a dominant rock type found in intrusive igneous rocks associated with oceanic crust. quartz—a hard colorless or white mineral consisting of silicon dioxide (silica), found widely in igneous, metamorphic, and sedimentary rocks. Pure silica forms clear quartz crystals in unconfined spaces, such as geodes or open fissures in rock; inclusion of traces of other element in quartz's crystalline structure produces varieties of semiprecious gems varieties including amethyst, citrine, rose quartz, and smoky quartz. Microcrystalline varieties of sedimentary rock composed dominantly of quartz include chert, jasper, flint, agate, and chalcedony. quartzite—a rock formed from the metamorphism of quartz sandstone or quartz-rich volcanic ash. Quaternary Period—the period of time spanning about 1.8 million years ago to the present. 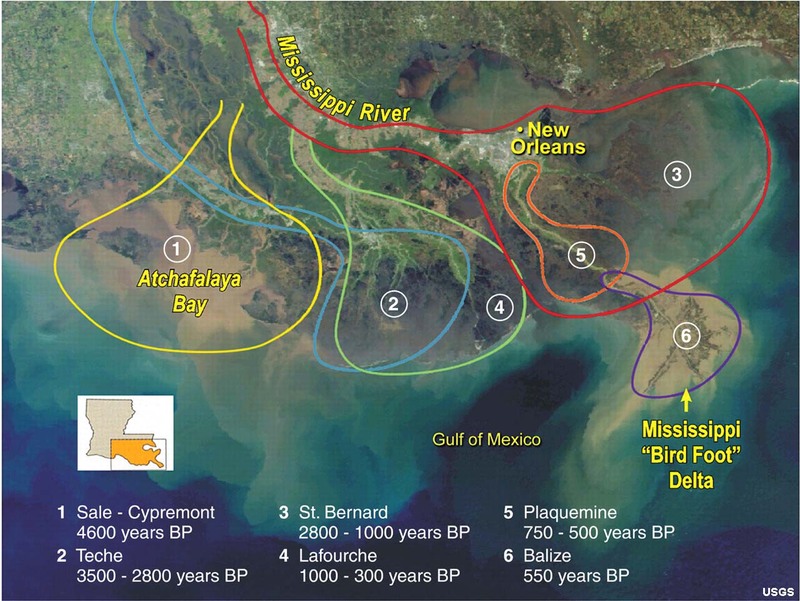 The Quaternary Period is subdivide into two unequal epochs–the Pleistocene Epoch extends from about 1.8 million years ago to about 11,000 years ago, and the Holocene Epoch that extends from about 11,000 years ago to the present. The Quaternary Period encompassed many cycles of ice-age continental glaciations and intervening warming periods. The Holocene Epoch corresponds with the last warming period in which we now live. rainshadow—the downwind side of a mountain range (or high volcano) that partially blocks the the flow of moist air, forcing precipitation on the prevailing windward side, and creates more arid conditions on the downwind side. recrystallization—a metamorphic process that occurs under situations of intense temperature and pressure where grains, atoms or molecules of a rock or mineral are packed closer together, creating a new crystal structure. The basic composition remains the same. reef—a ridge of jagged rock, coral, or sand just above or below the surface of the sea. regolith—a layer of loose rock debris resting on bedrock, constituting the surface of most land. Regolith can become soil with the introduction of organic residues and ongoing weathering. relative dating—the science determining the relative order of past events, without necessarily determining their absolute age. retrograde metamorphism—metamorphic changes that take place when rocks formed at great depths migrate to the surface via tectonic uplift and are exposed to lower pressure and more fluid-rich geologic settings, causing minerals to change to match surficial geologic environments. reverse fault—a fault in which the hanging wall has moved up relative to the foot wall. rhyolite—a pale fine-grained volcanic rock of granitic composition. rift valley—a valley that has formed along a tectonic rift. Rift valleys may be grabens or pull-apart basins, may be structurally complex, and are typically modified by erosion. Ring of Fire—an extensive zone of volcanic and seismic activity that coincides roughly with the borders of the Pacific Ocean basin. roche moutonnee—an elongate mound of bedrock worn smooth and rounded by glacial abrasion, typically with a steep slope of cliff on the downhill side formed by the plucking away of blocks of bedrock by the moving glacial ice. rock—relatively hard (consolidated), naturally formed mineral or petrified matter; stone; a naturally formed aggregate of mineral matter constituting a significant part of the earth's crust. rock cleavage—The capacity of a rock to split along certain parallel surfaces more easily than along others, such as bedding planes. Not all rocks have rock cleavage, but it is perhaps most common in low-grade to moderate-grade metamorphic rocks with a high mica content, such as slate or phyllite where crystalline structure of platy or sheet silicate minerals have been reoriented by metamorphic processes in an alignment perpendicular to the principle vector direction of stress caused by compression. rock cycle—the series of events in which a rock of one type is converted to one or more other types and then back to the original type. rock formation—The primary unit of stratigraphy, consisting of a succession of strata useful for mapping or description. A rock formation typical consists of a unique lithology (rock type) that has a relatively defined geologic age and is considered "mappable" (occurs throughout area or region, both on the surface and in the subsurface. rock salt—a rock dominantly composed of sodium chloride (NaCl - the mineral halite). Rock salt is an evaporite formed in restricted basins with an inflow of seawater located in an arid environmental setting. rock slide—the usually rapid downslope movement of newly detached segments of bedrock. rockfall—The relatively free falling or precipitous movement of a newly detached segment of bedrock of any size from a cliff or very steep slope; it is most frequent in mountainous areas during spring when there is repeated freezing and thawing of water in cracks in rock. Movement may be straight down or in a series of leaps and bounds down the slope; it is not guided by an underlying slip surface (like a slump). rupture zone—the area of the Earth through which fault movement occurred during an earthquake. For large earthquakes, the section of the fault that ruptured may be several hundred miles in length. Ruptures may or may not extend to the ground surface. sag pond—a natural depression associated with a fault or associated with a pull-apart basin along a fault system can hold water, even temporarily. S wave—a shear wave (S) is a seismic body wave that shakes the ground back and forth perpendicular to the direction the wave is moving. salt pan—a shallow basin, usually in a desert region, containing salt, gypsum, sodium carbonate, or other evaporite minerals that was deposited from an evaporated salt lake (playa) setting. sandstone—a sedimentary rock formed by the consolidation and compaction of sand and held together by a natural cement, such as silica, calcite, and iron-oxide minerals. scarp—a line of cliffs or a steep slope produced by faulting, slumping, or erosion. Scarp is an abbreviation for the word escarpment—meaning essentially the same thing. schist—any medium-grained to coarse-grained metamorphic rocks composed of laminated, often flaky parallel layers of chiefly micaceous minerals. schistocity—the type of rock foliation that characterizes schist, resulting from the parallel arrangement of coarse-grained platy minerals, such as mica, chlorite, and talc. science—The systematic knowledge of the physical or material world gained through observation and experimentation. The overall goal of science is to discover underlying patterns in the natural world. The fundamental assumption of science—"The natural world behaves in a consistent and predictable manner." scientific method—The principles and empirical processes of discovery and demonstration considered characteristic of or necessary for scientific investigation, generally involving the observation of phenomena, the formulation of a hypothesis concerning the phenomena, experimentation to demonstrate the truth or falseness of the hypothesis, and a conclusion that validates or modifies the hypothesis. sea level—the average level of the sea's surface (including tides or seasonal changes), used in reckoning the height of geographical features such as hills and as a barometric standard. seafloor spreading—the process by which new oceanic crust is formed by the convective upwelling of magma at mid-ocean ridges, resulting in the continuous lateral displacement of existing oceanic crust. seamount—an underwater mountain rising from the ocean floor and having a peaked or flat-topped summit below the surface of the sea. sedimentary—Materials consisting of sediments or formed by deposition. The word sedimentary applies to both the processes and the products of deposition. Examples of sedimentary rocks include shale, sandstone, conglomerate, limestone, and chert. sedimentary rock—rock that has formed through the deposition and solidification of sediment, especially sediment transported by water (rivers, lakes, and oceans), ice ( glaciers), and wind. Sedimentary rocks are often deposited in layers, and frequently contain fossils. sediments—solid fragments of inorganic or organic material that come from the weathering of rock and soil erosion, and are carried and deposited by wind, water, or ice. seismic hazard—The potential for damaging effects caused by earthquakes. The level of hazard depends on the magnitude of likely quakes, the distance from the fault that could cause quakes, and the type of ground materials at a site. seismic waves—shock wave and vibrations in the Earth which issue from the focus of an earthquake—; a result of an earthquake, impact, or explosion, or some other process that imparts low-frequency acoustic energy. seismicity—The likelihood of an area being subject to earthquakes, or the phenomenon of earth movements. Seismograph—a device used to record earthquake shaking, used to determine the distance, magnitude and intensity of earthquakes. Compression (P) waves travel faster than shear (S) waves. P waves travel faster than S waves—P waves move about 4 miles ( 7 km) per second. whereas. Using a precision clock and three seismographs, the location of an earthquake epicenter can be precisely located. serpentinite—a metamorphic ultramafic rock consisting almost entirely of serpentine group minerals (such as antigorite and chrysotile). Serpentinite forms from the alteration of mafic silicate materials, such as olivine and pyroxene (rocks, peridotite and pyroxenite) during metamorphism. Accessory chlorite, magnetite, and talc may be present. The State rock of California. shale—a soft, finely stratified sedimentary rock that formed from consolidated mud or clay and can be split easily into fragile plates, such as along bedding plains. sheeted dike—an igneous dike in which the molten material has squeezed into expanding vertical fractures so that it takes on a layered appearance, commonly associated with volcanism along spreading centers along mid-ocean ridges. shield—a large area of exposed Precambrian-age crystalline igneous and high-grade metamorphic rocks that form tectonically stable areas. In all cases, the age of these rocks is greater than 570 million years and sometimes dates back 2 to 3.5 billion years. shutter ridges—A shutter ridge is a ridge formed by vertical, lateral, or oblique displacement on a fault that crosses an area having ridge and valley topography, with the displaced part of the ridge “shutting in” the valley. Shutter ridges typically are found in association with offset drainages. sidehill benches—A step-like surface on the side of a hill or mountain. Both recent fault activity or erosional differences of bedrock lithology across a fault may produce sidehill benches and associated linear scarps. Sidehill benches may also form from slumping that may or may not be associated with faulting. silicate minerals—the largest and most important class of rock-forming minerals, constituting approximately 90 percent of the crust of the Earth. They are classified based on the structure of their silicate group. Silicate minerals all contain silicon and oxygen. sill—a tabular, typically more horizontal than vertical, sheet of intrusive igneous rock that has intruded between older layers of sedimentary rock, beds of volcanic lava or tuff, or even along the direction of foliation in metamorphic rock. slate—a fine-grained gray, green, or bluish metamorphic rock easily split into smooth, flat plates along cleavage planes. slickensides—a polished and striated rock surface produced by friction along a fault. slip—the relative displacement of formerly adjacent points on opposite sides of a fault, measured along the fault surface. slump— a type of landslide where the downward slipping mass of unconsolidated material or rock moves as a unit. A slump block usually displays backward rotation and on a more or less horizontal axis parallel to the slope or cliff from which it descends. Slumps typically form a fault-like escarpment and may occur at the head of a landslide. soil—The unconsolidated mineral and organic material on the immediate surface of the Earth that serves as a natural medium for the growth of land plants. Soil is the unconsolidated mineral or organic matter on the surface of the Earth that has been subjected to and shows effects of genetic (source material composition) and environmental factors such as climate (including water and temperature effects), and macro- and microorganisms acting on parent material over a period of time. A product-soil differs from the material from which it is derived in many physical, chemical, biological, and morphological properties and characteristics. solifluction—the slow, downhill movement of soil or other material in areas typically underlain by frozen ground. sorting—process by which sedimentary particles of similar size, shape, or density are selected and separated from associated but dissimilar particles by the agent of transportation (water and wind). speleothem—a structure formed in a cavern by the deposition of minerals (usually calcite) from water, including such features as stalactites, stalagmites, columns, flowstone, or other features found in caverns that form above the water table. 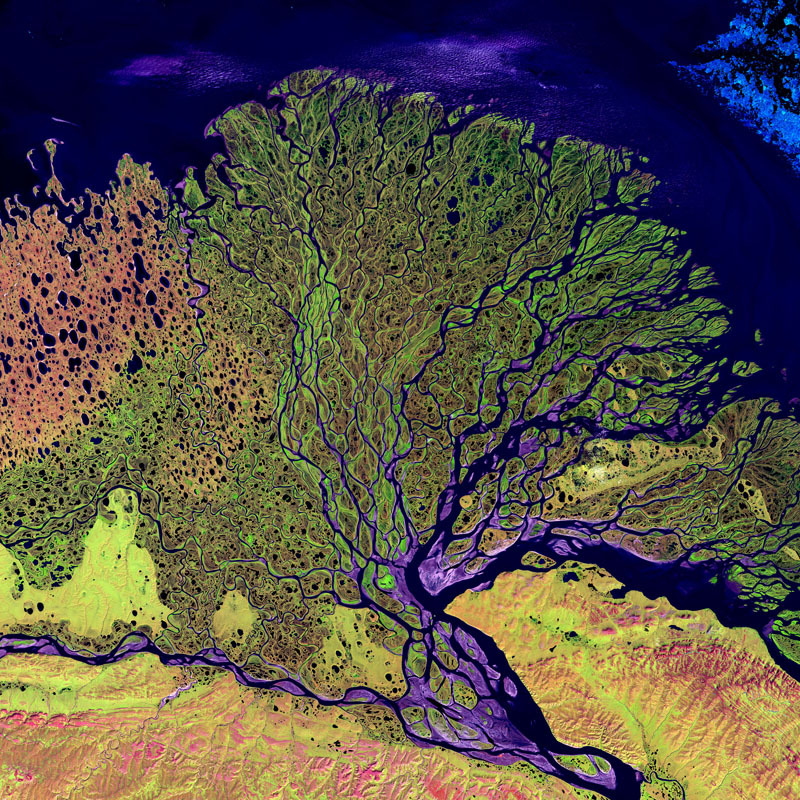 splay—a small fan-shaped or outspread alluvial deposit formed where an overloaded stream breaks through a levee (artificial or natural) and deposits its material (often coarse-grained) on the floodplain. spreading center— A linear area where new crust forms where two crustal plates are moving apart, such as along a mid-oceanic ridge. Spreading centers are typically seismically active regions in ocean basins and may be regions of active or frequent volcanism. spring—any natural occurrence where water flows to the surface of the earth from below the surface, typically in locations where the water table in an aquifer meets the ground surface. spring tide—the exceptionally high and low tides that occur at the time of the new moon or the full moon when the sun, moon, and earth are approximately aligned. stalactite—a tapering structure hanging like an icicle from the roof of a cave, formed of calcium salts deposited by dripping water. stalagmite—A mound or tapering column rising from the floor of a cave, formed of calcium salts deposited by dripping water and often eventually uniting with a stalactite to form a column. star dune—a dune with three or four arms radiating from its usually higher center so that it resembles a star in shape. Star dunes form when winds blow from three or four directions, or when the wind direction shifts frequently. stepover—Closely spaced strike-slip faults within a greater fault zone over which the total displacement is distributed. steppe—a large area of flat unforested grassland, such as the Great Plains region of the United States and Canada. strain—the amount of deformation an object experiences compared to its original size and shape. stratigraphy—the study of the composition, relative positions, etc., of rock strata in order to determine their geological history. 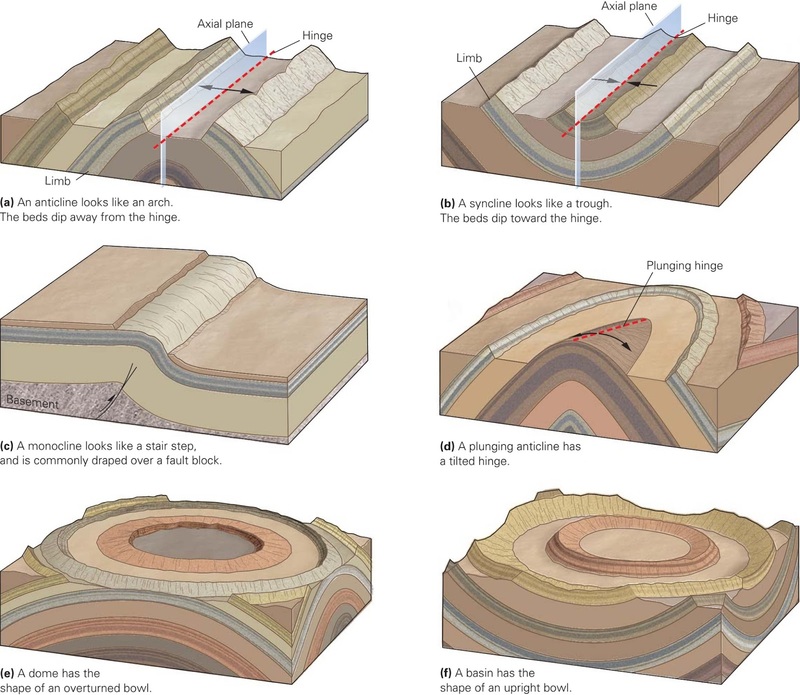 stratum— A bed or layer of sedimentary rock having approximately the same composition throughout (plural is strata). stream—a flow of water in a channel or bed, as a brook, rivulet, or small river. stream discharge—the volume of water to pass a given point on a stream bank per unit of time, usually expressed in cubic meters of water per second. stream gradient—the grade (slope) measured by the ratio of drop in a stream per unit distance, usually expressed as feet per mile or meters per kilometer. stream terrace—one of a possible series of level surfaces on a stream valley flanking and parallel to a stream channel and above that marks the level of a floodplain in the geologic past. stress—the force acting on a rock or another solid to deform it, measured in kilograms per square centimeter or pounds per square inch. strike-slip fault—A generally vertical fault along which the two sides move horizontally past each other. If the block opposite an observer looking across the fault moves to the right, the slip style is termed “right lateral.” If the block moves to the left, the motion is termed “left lateral.” California’s San Andreas Fault is the most famous example of a right-lateral strike-slip fault. Strike-slip faults produce produce a variety of landforms including shutter ridges, pull-apart basins, sag ponds, and deflected streams. strike—The direction taken by a structural surface, such as a layer of rock or a fault plane, as it intersects the horizontal. structure of the earth—The earth's lithosphere has a central core (solid & liquid), the mantle (including asthenosphere), and the crust. subduction zone—A plate boundary along which one plate of the Earth’s outer shell descends (subducts) at an angle beneath another. A subduction zone is usually marked by a deep trench on the sea floor. An example is the Cascadia Subduction Zone offshore of Washington, Oregon, and northern California. Most tsunamis are generated by subduction-zone-related earthquakes. subsidence—the lowering of the land surface, examples include downwarping by folding, crustal extension, gravitational collapse or other tectonic forces. Subsidence also occur in areas where extensive extraction of water or petroleum allows pore spaces between grains or fractures in rock to collapse, reducing volume, and resulting in subsidence of the land's surface. susceptibility—the state or fact of being likely or liable to be influenced or harmed by a particular thing. In geology, the term is used as a means of classifying areas that are prone to natural hazards, such as landsliding, liquefaction, flooding, etc. syncline—a trough or fold of stratified rock in which the strata slope upward from the axis; opposite of an anticline. tafoni— small, fist- to head-sized, cave-like features found in granular rock such as sandstone, appearing tiny pits, rounded entrances and smooth concave walls. They often occur in groups, forming a honeycomb-like form, typically occurring of cliff faces, in overhanging vertical places, on large boulders, and rocky outcrops.and are that can riddle a hillside. talus—a sloping mass or cone-shaped deposit of rock fragments at the foot of a cliff. tarn—a small mountain lake, especially one formed by glaciers; typically found within the basin of a cirque. tectonism—the cause, or result of, structural deformation of the earth's crust. tephra—rock fragments and particles ejected by a volcanic eruptions. terrace—a relatively level bench or step-like surface breaking the continuity of a slope. Natural bench-like terrace features include elevated-marine terraces (along rising sea coasts), stream terraces (along incising streams), or structural terraces (such as along a fault). terrain—a stretch or area of land that shares common physical features: examples: hilly terrain, rocky terrain, flat terrain. terrane—a fault-bounded area or region with a distinctive stratigraphy, structure, and geological history. Tertiary—the first period of the Cenozoic Era (after the Cretaceous Period of the Mesozoic Era). The Tertiary Period spans the time of about 65 to 1.8 million years ago. The Tertiary Period is subdivided into 5 epochs—Paleocene, Eocene, Oligocene, Miocene, and Pliocene). It is followed by the Pleistocene Epoch of the Quaternary Period. tidal flat—a nearly flat coastal area (at or near sea level) that is alternately covered and exposed by the tides, and consisting of unconsolidated sediments. till—unsorted material deposited directly by glacial ice and consisting of rock fragments ranging from large boulders to sand, fine silt, and clay. trace fossil—a fossil impression of a footprint, trail, burrow, or other trace of an animal rather than of the animal itself. transform boundary—when plates slide past each other creating fault systems along plate margins. 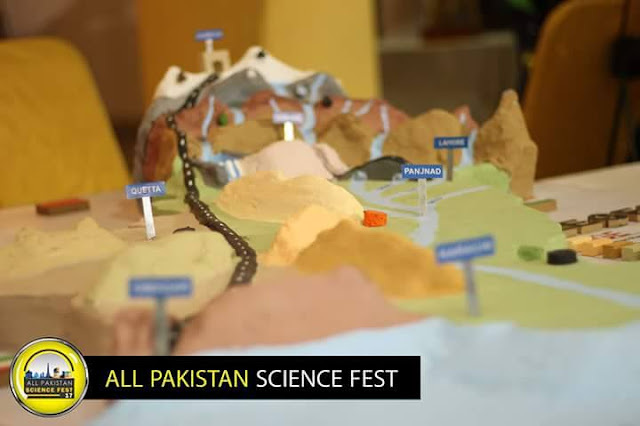 Examples include theSan Andreas Fault and major faults in Pakistan, Turkey, and along the Jordan River/Dead Sea. transform fault— a special variety of strike-slip fault along which the displacement suddenly stops or changes form. Many transform faults are associated with mid-oceanic ridges and plate boundaries that show pure strike-slip displacement, like the San Andreas Fault. transpiration—The process by which water in plants is transferred as water vapor to the atmosphere. travertine—White or light-colored calcareous rock deposited from mineral springs; or a common name for freshwater limestone deposits. Cavern speleothems are typically consist of travertine. trophic respiration—processes in organisms that result in release of energy related to the consumption of substances that go through a chemical changes. These processes may result in the excretion of substances that can alter and/or accumulate in the environment. tsunami—a very long and/or high sea wave or coastal serge of water caused by an earthquake or other disturbance. tufa—calcareous and siliceous rock deposits of springs, lakes, or ground water. tundra—A vast, flat, treeless Arctic region of Europe, Asia, and North America in which the subsoil is permanently frozen. turbidity flows—a turbid, dense current of sediments in suspension moving along downslope and along the bottom of a ocean or lake. ultramafic—a rock composed chiefly of mafic minerals (rich in iron and magnesium, and less than about 45 percent silica, such as olivine, augite, or hypersthene. Pyroxene and serpentinite are ultramafic rocks. unconformity—a buried erosion surface separating two rock masses or strata of different ages, indicating that sediment deposition was not continuous. uniformitarianism—the theory that all geologic phenomena may be explained as the result of existing forces having operated uniformly from the origin of the earth to the present time. unloading—expansion of compressed rocks (previously deeply buried) by the removal of overburden, allowing rocks to expand and fracture, commonly resulting in the sheeting off of layers of rocks. uplift—geologic processes that cause the land to rise in elevation, examples include vertical movement along a fault, compressional folding of the crust, or underground intrusion of magma beneath a volcano. vadoze zone—also termed the unsaturated zone, is the typically shallow subsurface interval between the land surface and the underlying phreatic zone or zone of saturation). The vadose zone extends from the top of the ground surface to the water table. ventifact—a stone on the surface in a desert environment that is unusually shaped, abraded by wind-blown sediment. Markings on ventifacts typically reflect seasonal prevailing wind patterns. volcanic arc—a generally curved linear belt of volcanoes above a subduction zone, including the volcanic and plutonic rocks formed there. volcanic tuff—a term describing rocks composed of volcanic ejecta, such as broken pieces of volcanic glass, phenocrysts, rock fragments, etc. volcanism—Any of various processes and phenomena associated with the surface discharge of molten rock or hot water and steam, including volcanoes, geysers, and fumaroles. volcano—a hill or mountain, typically conical in shape, having a crater or vent through which lava, rock fragments, hot vapor, and gas are or have been erupted from the earth's crust. water table—the level below which the ground is saturated with water. The water table is influenced by the gravitational flow of water underground, typically following the general topography of a landscape, but can be changed by the extraction of water from a well, or construction of a dam. wave diffraction—refers to various phenomena which occur when a wave encounters an obstacle or change in geometry of the seabed. For example waves are defracted when they approach a beach at an oblique angle, when the pass an island, or when they pass a point or other structure at the mouth of a harbor. wave of oscillation—a wave in the open ocean where movement in the water below a passing wave is in a vertical circular motion. wave of translation—a tumbling wave that continues onshore after it crests when entering a shallow coastal setting. weathering—the gradual destruction of rock under surface conditions. Weathering may involve physical processes (mechanical weathering) or chemical activity (chemical weathering). Biological activity can also result in weathering the can be construed as mechanical, biological, or both. Wisconsin Stage—The last, most recent glaciation period within the current ice age occurring in the geologic time interval about 110,000 to 10,000 years ago, at the end of the Pleistocene Epoch. Note that Antarctica and Greenland are still enduring ice-age conditions, whereas continental glaciers on North America and northern Europe vanished at the end of the Wisconsin Stage. wrackline—an accumulation of shell material and debris that typically marks the location of the last high tide cycle on a beach or after a storm. xenolith—A rock fragment foreign to the igneous mass in which it occurs. Xenoliths are commonly composed of rock derived from the sides or roof of a magma chamber. zone of accumulation (glacial term)—the upper part of a glacier where snow accumulation and ice formation takes place faster that it melts, forming the glacier. zone of wastage (glacial term)—The downslope end of a mountain glacier where melting outpaces the accumulation of new ice and snow.